If you feel the need to refresh your bathroom, the safest way to do it easily and at minimal cost is to replace the shower curtain. 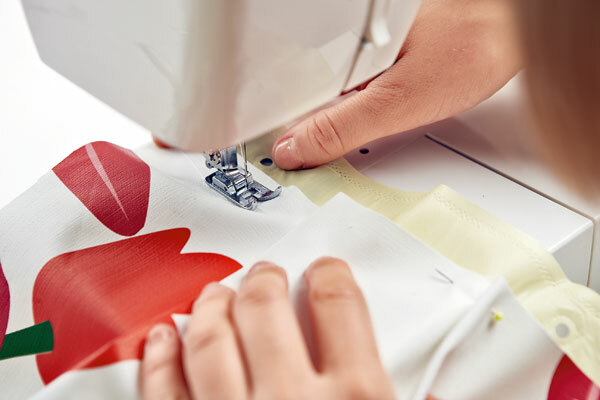 But there is even a simpler and safer option – try to brighten up the curtain you’ve got now. Why not turn it into a flamenco dress – so beautiful and bright? Firstly, draw several equally spaced horizontal lines on the shower curtain, depending on how many ruffles you’d like to get. Secondly, cut out the future ruffles from the bright bathroom textile. 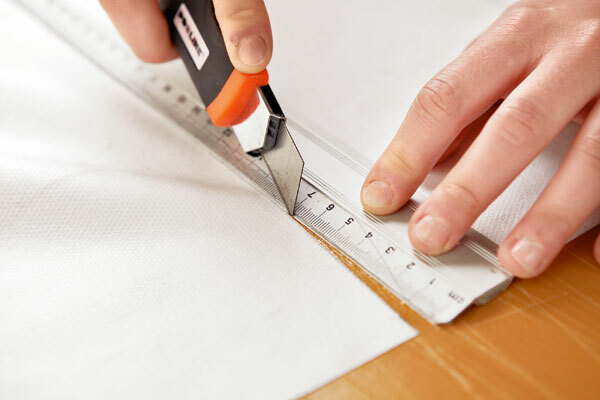 Add about 5 cm in width to ensure overlapping of ruffles and about 15 cm in length depending on the width and shape of folds you’d like to create. 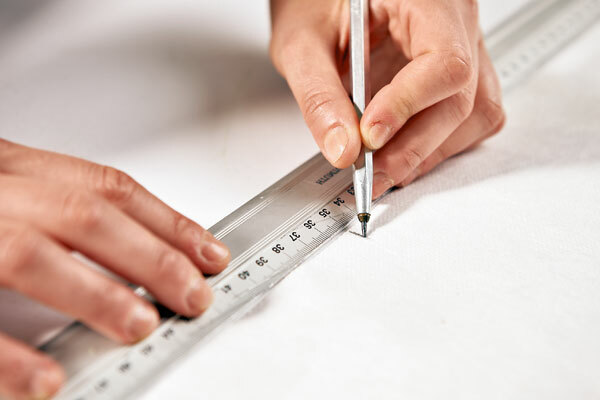 Thirdly, use pins to fix the ruffles to the marked lines on the shower curtain (on the face side). And finally, sew the ruffles to the curtain, starting from the bottom row. 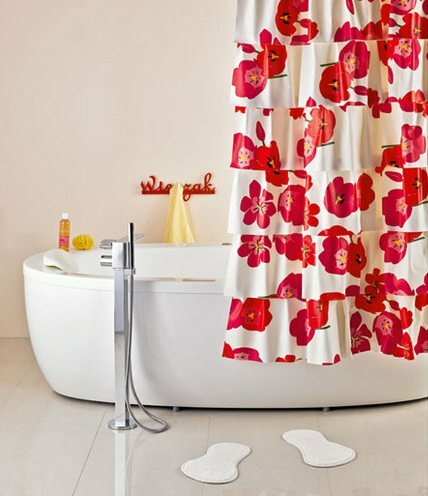 Your hand-made flamenco shower curtain is ready to decorate your bathroom!